Sept. 21­–24. Acadia National Park. 207-801-2566. 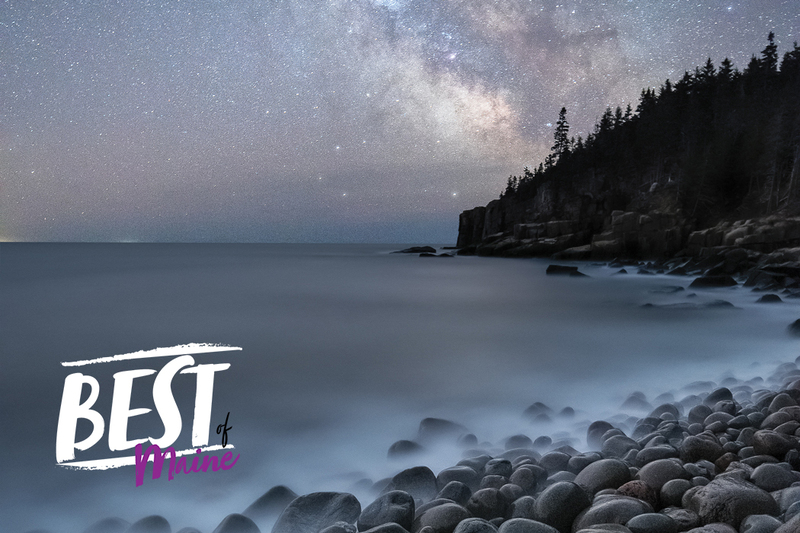 In 1999, the National Park Service added the protection of natural lightscapes to its mission, calling national parks “some of the last remaining harbors of darkness.” Acadia has since emerged as one of the NPS program’s stars (sorry). Free of the light pollution that obscures all but the brightest celestial bodies for some two-thirds of the world’s population, the park protects the largest expanse of naturally dark sky east of the Mississippi. 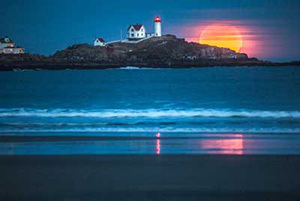 Now in its ninth year, the Acadia Night Sky Festival celebrates darkness with stellar events like films and workshops, plus star parties at Seawall and Cadillac Mountain, where volunteer astronomers from all over New England set up telescopes and point out constellations and other heavenly features for visitors. Just bring your night-vision flashlight and sense of awe. On the maps, it’s called site H2, the most isolated walk-in site at Acadia National Park’s Schoodic Woods Campground, which opened in 2015 and still feels like somebody just took the cellophane off of it. But it’s a misleadingly humdrum name for a scene of such rare beauty. About a half-mile walk from the parking area, it’s the only campsite on Schoodic offering a view across Frenchman Bay of the dramatic Mount Desert Island skyline. The backcountry-ish hillside site may not be the roomiest spot you’ve ever pitched a tent (also, there are no campfires, and the picnic table’s a bit stubby) but the solitude and the chance to gaze out your tent flaps at the starlit silhouette of Acadia’s peaks make the $22 nightly reservation fee feel like a steal. 263 Rte. 1, Cumberland. 207-829-3100. 1240 Perkins Ridge Rd., Auburn. 207-784-7958. 274 Shore Rd., Oquossoc. 207-670-8391. 92 Front St., Bath. 207-442-8400. 64 Chapman St., Damariscotta. 207-563-2668. Boothbay Harbor. TurnKey Vacation Rentals. 888-512-0498. 489 Congress St., Portland. 207-774-1822. 220 Warrenton St., Rockport. 207-594-2511. 109 Danforth St., Portland. 207-772-4841. CMBG takes kids seriously, which is to say its children’s garden isn’t a sad afterthought, a bone thrown to parents who couldn’t find a babysitter. Rather, the 2-acre Bibby and Harold Alfond Children’s Garden is designed to engage, from the three mist-spraying stone whales to the tree house (with a rope bridge!) to the step-in vignettes out of children’s books like Blueberries for Sal, Charlotte’s Web, and Miss Rumphius. There’s a robust program of activities too, like nature investigations, where families follow their five senses through the gardens or go on a wildlife scavenger hunt for birds and butterflies. Yes, there really are fairies in the Fairy House Village (don’t worry, the kids will see them even if you don’t). Oh, and the majority of paths winding through CMBG’s 300ish acres are stroller friendly. A sunny summer day on Monhegan can make a woman throw her hands up with joy, so is it such a stretch to slip into the Vrikshasana pose and fix your gaze across the harbor on tiny, green Manana Island? Tara Hire will show you how — and cook you a delicious and nutritious meal too — at one of her health and wellness retreats for women. 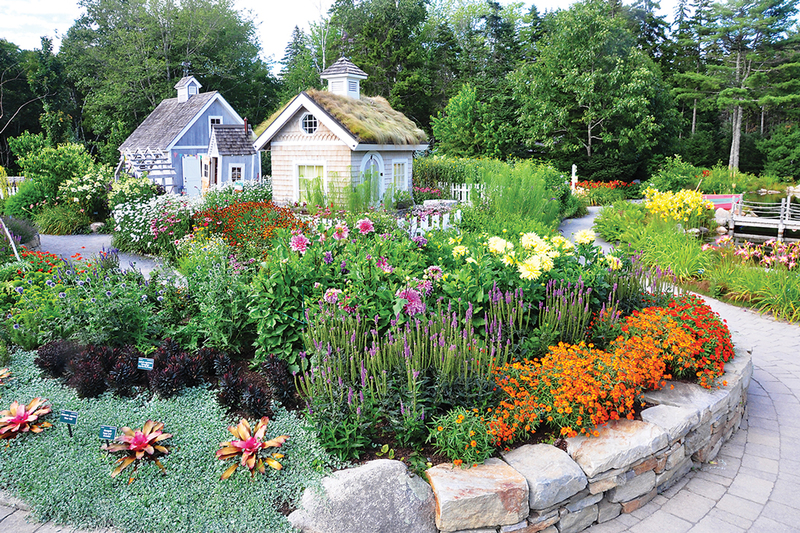 A certified self-awakening yoga instructor, Hire has a loyal following of guests who return year after year and swear by her — and Monhegan’s — power to rejuvenate their spirits. Retreats vary in focus; there’s even one for artists and writers, who spend their mornings doing yoga and their afternoons making art or visiting some of Monhegan’s resident painters. Namaste. 5 E. Main St., Dover-Foxcroft. 207-805-8839. 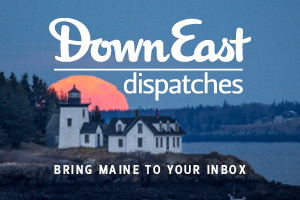 Maine in 2017 does not want for boutique-y inns trying to hit that elusive Venn sweet spot between historic authenticity and modern cool, between rustic comfort and sleek style. No other property nails it quite like The Mill Inn + Café in Dover-Foxcroft — certainly no place with nightly rates as low as $125 in peak season. 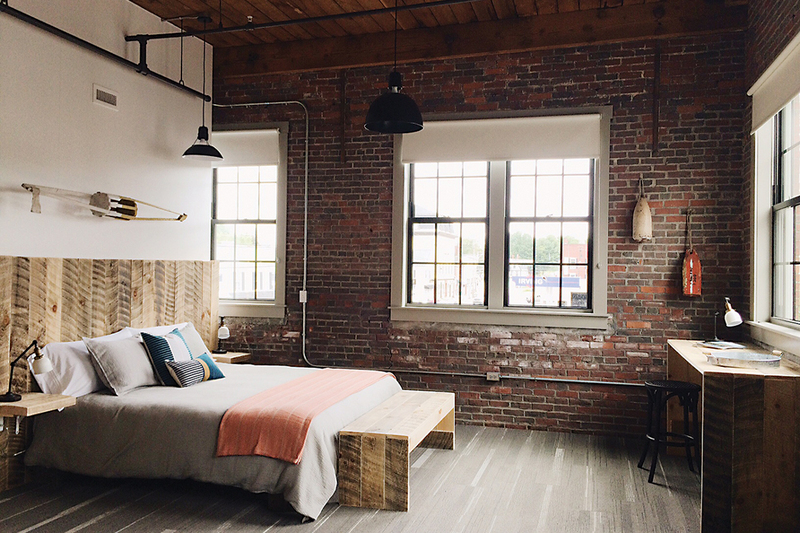 Six second-floor rooms in the restored textile mill get tons of light from huge paned windows, show off exposed brick and plumbing, and juxtapose homespun decorative touches (canoe paddles, fishing nets, buoys) with mod amenities (flat-screen TVs, fancy-pants bedding). Plus, there’s kind of a speakeasy vibe to the check-in process — get a back door code from the barista at the café downstairs, where the patio boasts a superb view of the falls that once powered the mill. Off Route 191, Cutler. 207-941-4412. This Bold Coast preserve’s 4-mile stretch of soaring, wave-beaten cliffs is spectacularly wild, buffered from the nearest roadway by 1½ miles of forest. Ocean views are ever-present (and other hikers few) as you pass through woods and open meadows and across cobble beaches that sing with the ebb and flow of the waves.  528 Hallowell Rd., Pownal. 207-688-4712. Bradbury’s Summit Trail is the perfect training ground for young hikers: steep enough to be challenging, short enough (not quite a half-mile) to stave off whining, and stunning enough at the summit to be more than worth the effort. Got more energy to burn? Another 20 or so miles of hiking and biking paths wind through the woods, and there’s a playground too. Off Rte. 27, Carrabassett Valley. 207-778-8231. It’s 15 miles — the first few strenuous — from the Stratton Brook Trailhead on the Appalachian Trail, near Eustis, to the next intersection with a road, south of Flagstaff Lake. 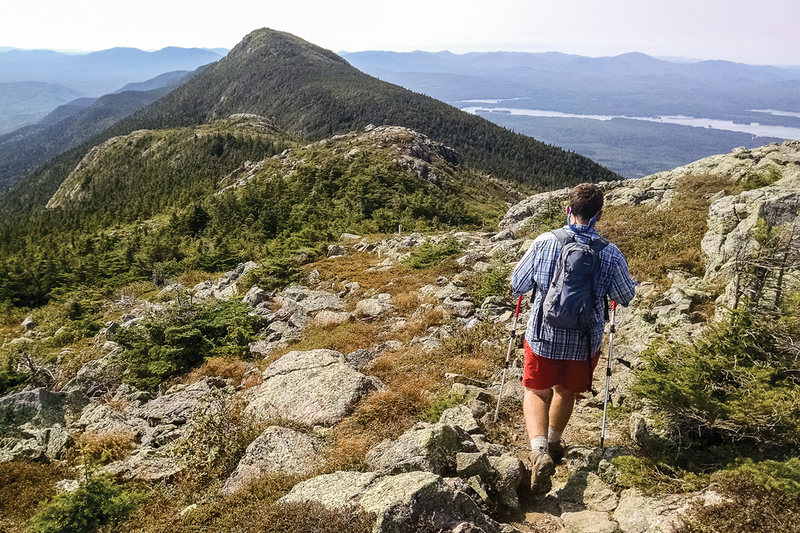 Power over that first 2,800-foot hump to enjoy a long, exposed, and fairly easy ridge-walk through some of Maine’s most breathtaking alpine territory. Great camping at a handful of tent sites and lean-tos, plenty of optional spurs. Quintessential Maine high country. Bell Buoy Park on Commercial St., Portland. 207-370-9508. When spin classes, craft beer, and urban cycling have all become passé, what’s a Portland hipster to do? Combine all three — on a boat. 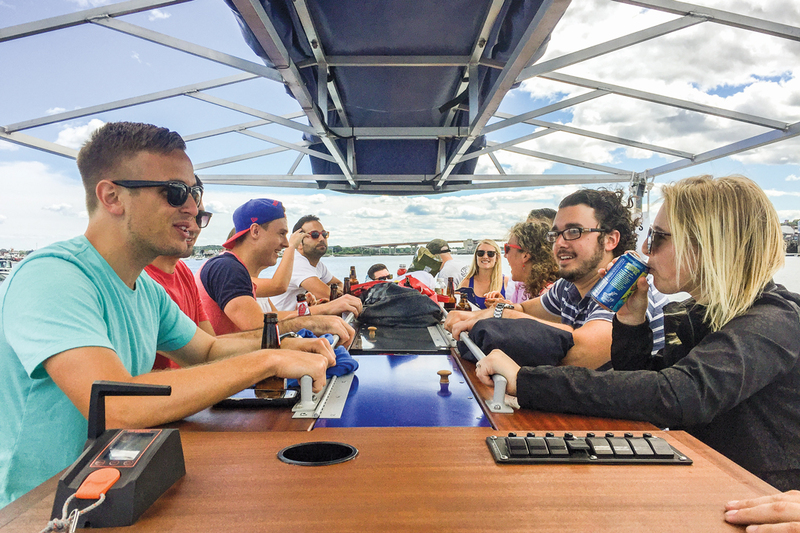 Like a paddleboat on steroids, Neil Kinner’s 14-seat craft uses bicycle-style passenger pedals to power 90-minute voyages across Casco Bay. Unlike spin class, though, the pressure’s never too high: there’s a back-up motor in case you poop out. And you don’t need to be a hipster to appreciate the BYOB policy and Instagram-friendly views. It’s more booze cruise than exercise, really (though it doesn’t hurt to have pretty ripped quads).